Most people associate attention-deficit/hyperactivity disorder with children but, although the hyperactivity component weakens with age, there are many adults that still suffer from the disorder. ADHD is a particular problem when it comes to learning as it keeps students distracted and prevents them from absorbing the material. Because higher learning such as college is less structured and requires more independence, adult students with ADHD often face great difficulty. 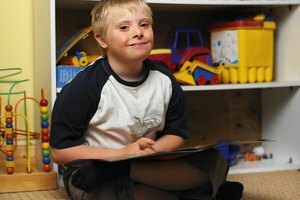 Yet there are many techniques available to teachers and tutors that can help provide a successful learning environment for adults with ADHD. The first step should be to set simple ground rules and limit these to a few basic expectations. If possible, individually approach a student with ADHD to agree on feedback methods because it is important to maintain contact and continually monitor progress. Use this same method of structure in individual lessons. Make sure to explain what will be covered, what is expected, and what materials are needed at the beginning of each lesson. Also include a brief review of the previous lesson and recap at the end. However, keep in mind that expectations should be laid out as simply as possible. Structure is so crucial because adults with ADHD need predictability and have a difficult time with sudden change. Therefore, when transitioning from subject to subject, the teacher should indicate ahead of time that the transition will happen. A warning before the end of the lesson also is useful. In regard to the material, encourage students to look for patterns. This will make the information more predictable for them and easier to understand. When teaching adults with ADHD, audio-visual information can aid in the absorption of material and memorizing of instructions. For instance, make as much of the work as possible available to do on a computer. Furthermore, ensure that any directions are given in both verbal and written forms. Sometimes it is beneficial to have the student repeat the directions back. However, this should be done in one-on-one or collective situations where the student is not being singled out as different. Go over any relevant visual symbols and ascertain whether the student understands what they mean. Boredom is the worst nightmare for an adult with ADHD and the teacher involved. Encourage the student to identify and overcome any specific distractions such as sitting near a window. Reduce noise levels in classrooms and maintain eye contact as much as possible and vary the tone, delivery and style of lectures to prevent them from becoming monotonous. Questions are also an invaluable tool. Asking many direct questions can keep a student with ADHD engaged. Just make sure to give the student time to gather thoughts and answer. Adult students with ADHD struggle when tackling long-term projects with little supervision. To develop their abilities to work independently, divide up projects into manageable chunks and provide lots of contact, assessment and feedback throughout the process. 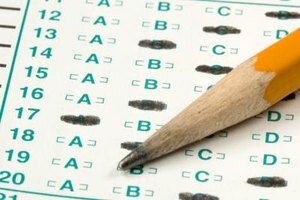 Giving quizzes on less material instead of tests also can be beneficial. Furthermore, explain extra resources in which students can look for information and teach them how to check their answers. Adults with ADHD have difficulty setting and maintaining priorities. Consequently, discussing these priorities and how they change over the course of the semester is crucial in building this skill. Positive encouragement also will go a long way in fostering independence. Certain accommodations will let ADHD students build their attentional abilities and learning skills. Avoid timed tests that tend to cause anxiety for adults with ADHD. Find out which test formats work best for the student and consider giving fill-in-the-blank or oral questions. Moreover, it is important to structure lessons so that the difficult material is presented first. Finally, accepting late work and giving partial credit are great ways to build the student's confidence. White, Kathryn. "Teaching Techniques for ADHD Adults." Synonym, https://classroom.synonym.com/teaching-techniques-adhd-adults-5282724.html. Accessed 25 April 2019.